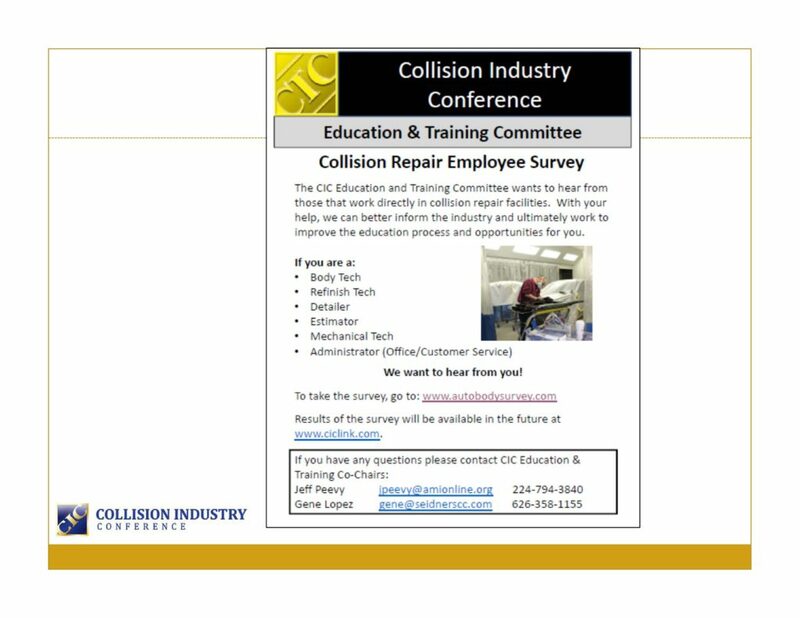 The Collision Industry Conference wants to hear how the thousands of you in the trenches fixing, painting, detailing and estimating cars and dealing with customers would like to be trained. Detailers, estimators, painters, auto body technicians and those in front-office customer service roles are urged to fill out a short online survey for the CIC’s Education Committee. “With your help, we can better inform the industry and ultimately work to improve the education process and opportunities for you,” a slide at the July CIC stated. No owners or managers need apply; this one is for the troops, not the officers. A previous attempt at the survey wound up being erroneously completed by shop leadership rather than the folks whose input CIC truly wanted. “Most of you in this room shouldn’t be taking this survey,” Education Committee Co-Chair Gene Lopez advised the CIC audience, which typically consists of top executives at body shops, insurers, and related industries. All responses will be kept anonymous. 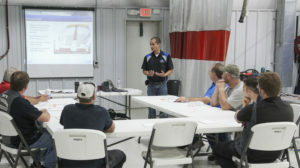 The survey asks shop staff questions like how much training they receive annually, what form of training they consider valuable (for example, online versus class versus hands-on), what topics they’d like to know more about, and who does the training. Don’t miss this chance to help shape your industry — and perhaps your own shop experience. Take the survey here. Owners, managers and other staff who will be in Las Vegas for SEMA might also want to check out the November CIC. The quarterly events are a chance for all of the various interests in the collision repair ecosystem to network, debate, and teach each other about issues spanning the various industries.